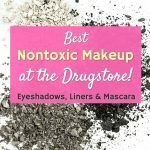 Get some of the best non-toxic makeup at a drugstore for less money! Yes, it’s true, you can save money and choose safe makeup brands. If you think that you have to spend a fortune on makeup to choose the best non-toxic makeup brands, don’t worry. You don’t have to! 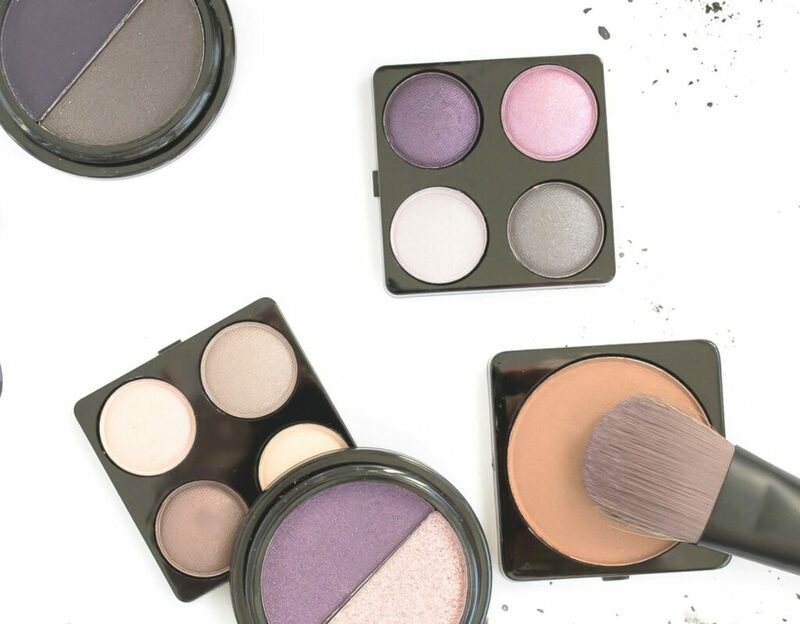 Of course, it’s always nice to choose all natural makeup made only with organic ingredients. I understand. I also know, though, that trying to focus on wellness can be expensive. 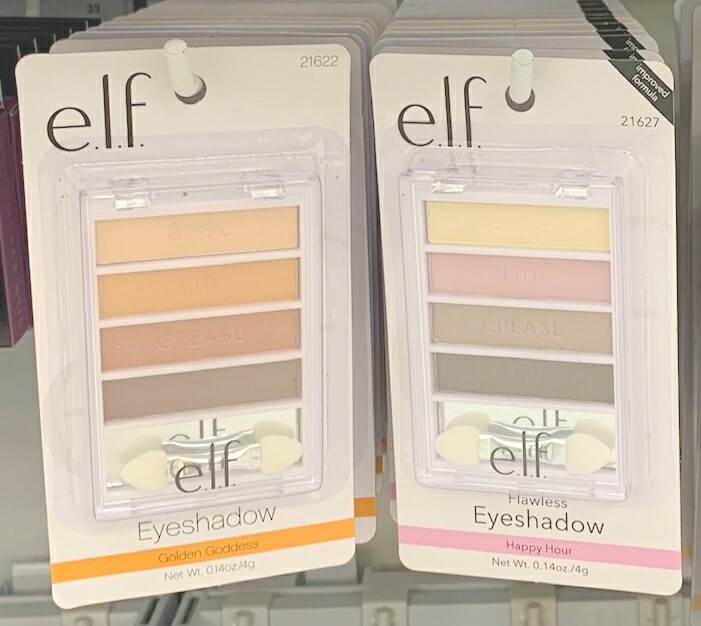 What if you could buy safe makeup that not only is less expensive, but also easier to find and look at the colors and brands in a drugstore rather than having to order online? Yes, it’s true. If you feel like you can’t afford to make better choices for your health, don’t worry. These drugstore makeup brands (only the exact items listed below) are actually surprisingly safe! How Do You Find the Best Safe Makeup? 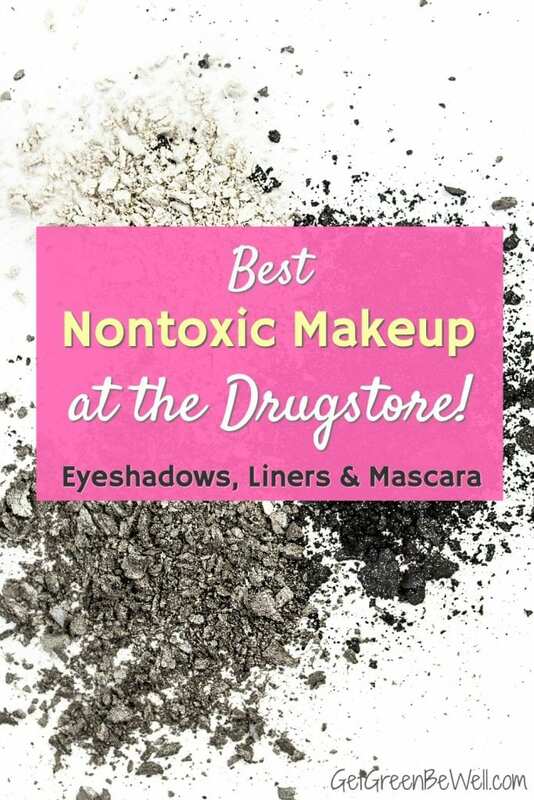 There is absolutely no way that you could walk into a drugstore or mass retailer and know exactly what the toxicity and health dangers are of every type of makeup brand. Which is why we should all be so thankful for the Skin Deep Cosmetics Database. This website (and now app) actually tests makeup brands to determine their toxicity and potential hazards. And what you will find can be shocking. Skin Deep Cosmetics Database doesn’t just focus on purely natural makeup brands. Nope. In fact, it analyzes a lot of conventional makeup brands that we’ve all grown up with. 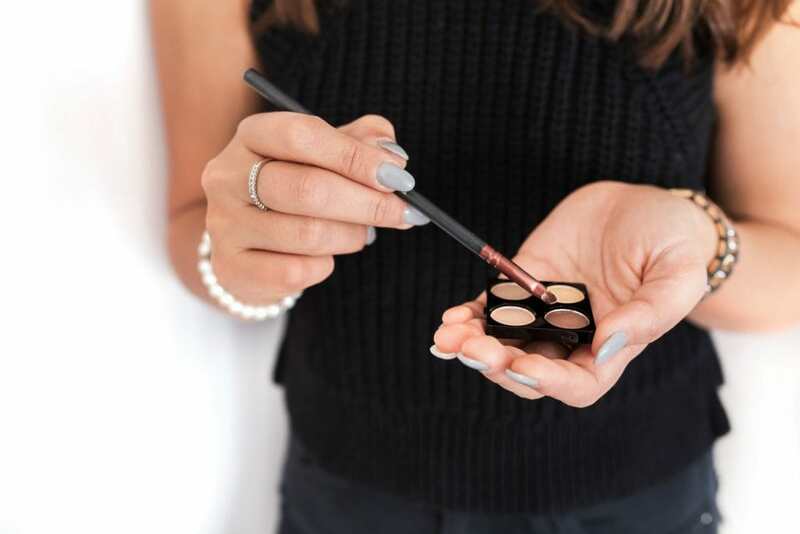 The scientists at Environmental Working Group (EWG) which oversee the Skin Deep Cosmetics Database create easy to understand scores of the potential hazards of the ingredients of makeup. More than 70,000 unique products have been tested. Which come from more than 2,000 makeup brands. This list is extensive!!! Which also means it can take a LONG time to search. The brands listed below have all achieved a 1 or 2 score (Low Hazard) on the Skin Deep Cosmetic Database. To put the score into perspective, the most hazardous brands that they have tested would receive a score of 10. 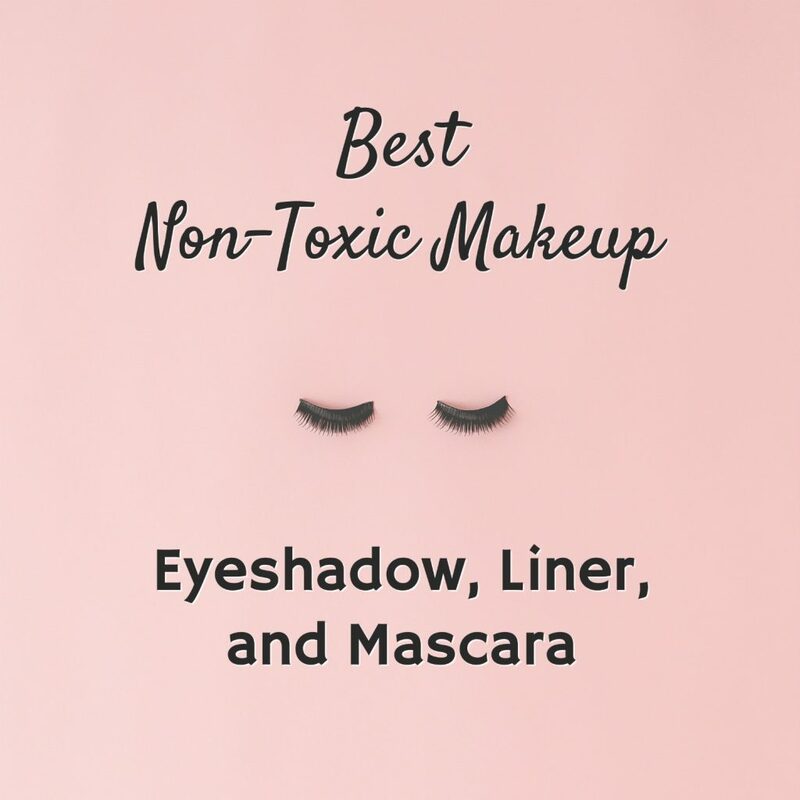 For easy shopping, refer to this list for the best non-toxic makeup brands (these are the best eye shadows, liners and mascara). *Every effort has been made to match each product tested with a link to the most updated item available. Original reports are found on EWG for comparison. Personally, I used to enjoy buying makeup a lot more. Then I started being really concerned about what I was putting on my skin. Which actually made me depressed and not feeling so beautiful. And that’s not a good thing for body or soul. So knowing that there are inexpensive and easy-to-find makeup brands that I can safely choose, I’m finding more joy in my beauty routine. And I think you should, too! Highlighted links below will let you shop right now for the best safe makeup brands. It’s time to treat yourself! Be sure to check out the 10 Best Lead Free Lipsticks and more non-toxic drugstore makeup choices for blush, highlighters and bronzers. I love these moisturizers with probiotics, too, for natural beauty. If you’d like to DIY your own makeup, check out this recipe for natural chocolate mint lip balm. And here’s a great DIY anti-aging eye balm recipe.